WordPress is a giant platform with more than 1600 themes and 40,000 plugins to build a website as preferred by business drivers. There are themes for every niche, and there are themes that support every niche. The idea behind creating a versatile theme is to produce a single website template that could support any organisation, brand, product or causes. A multipurpose theme will have all the basic and advanced functionality like the ability to create a professional portfolio, promoting products and services, eCommerce support, social media integration and much more to create a user-oriented, appealing and interactive websites that can attract a maximum number of users, resulting in good revenue. Also, multipurpose WP themes give you a fortuity to customize your website to showcase your company, brand or organisation effectively. If you too are looking for a theme that can suit to your multipurpose list, check out the below themes, surely you’ll like all of them. 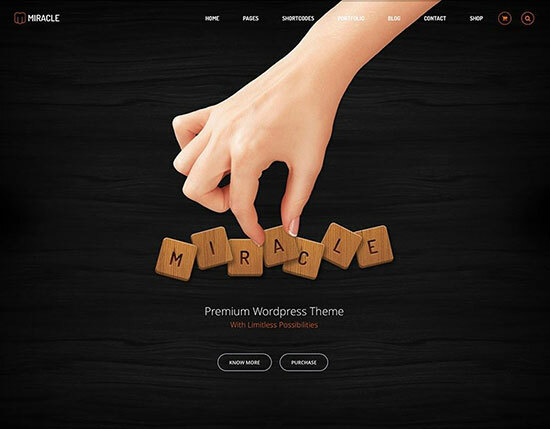 It is an outrageously adaptable, technologically sophisticated, user and developer friendly, visually cohesive and wonderfully time-saving WP multipurpose theme. It is purposely created to accommodate the abundant needs of different website archetypes by incorporating plugins and shortcodes to streamline your workflow, thus saving you a lot of time in designing a website. It also includes tonnes of customization features like option system to give you full control of the layout, advanced grid to push layouts to the cutting edge, enhanced visual composer, 6+ menu styles, module variations and much more. Also, It is responsive to popular devices, browsers and screen sizes. If you need a great WP site, take a serious look at Uncode. 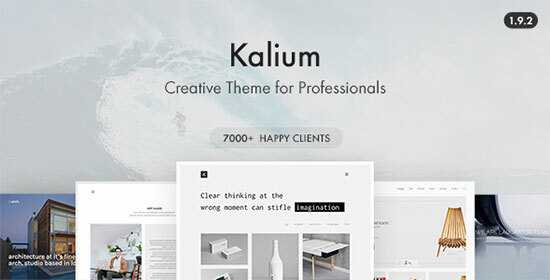 Kalium is a trendy, easy-to-use, highly responsive, spectacular and warm and welcoming WP theme that is uniquely competent. It offers you a huge selection of refined already built demo sites and with preferred customization, you can go live with your content on the same day you’ve purchased the theme. That’s the beauty of Kalium. It is used worldwide to showcase products in jaw-dropping fashion. Besides, it also supports image placeholders, adaptive images, visual composer, revolution slider, layer slider, WPML, Poly-language and much more. Try Kalium and there is no looking back then. It is a flexible, creatively imaginative, flexible and technologically innovative WP multipurpose theme that services all manners of a website irrespective of the niche and market. It is ideal for web designers, agencies, design studios and freelance workers that need a platform which is robust, staunch & that can serve all kind of business drivers impeccably. With Kallyas, you can drag and drop your elements, edit your elements, reposition the objects, change spacing as you wish, add timeline layers for better animation managements and will get professional support from its developers. Time to try Kallyas! This theme is a perfect choice when you need a professional and an outstanding online presence. 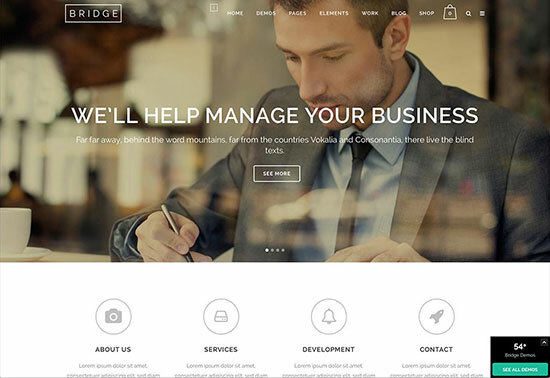 You don’t even have to hire a professional developer if you are going online with this multipurpose WP theme because it supports features like flexible header builder, unique page builder, revolution sidebars, creiden admin panel, unlimited colours and much more while offering you a guaranteed support. Also, the theme is optimized to search engines, and if you want to try a demo before you go for it, that is available too. You can customize the demo according to your needs and take a look and feel of the website that you will build after acquiring this theme. 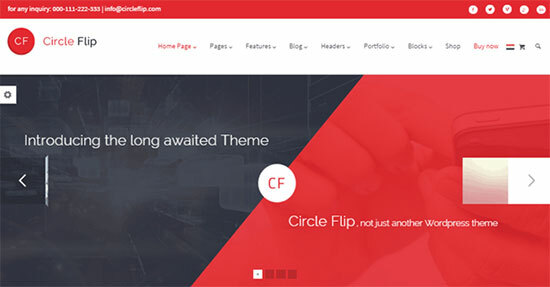 Get Circle Flip theme today! Designed with a mobile-ready layout and full responsiveness, Bridge is one of the most flexible and framework developed by QODE. It is easy to set up and customize according to a niche’s requirements. Features like AJAX animations, contact page with modules, WooCommerce integration, Qode carousel plugin, seven pre-made layouts and much more makes it an ideal theme that anyone can use to create an appealing website. Coded with jQuery, HTML and CSS3 techniques, Bridge allows you to make a blog look organised and neat with masonry layout. It’s time to get going with Bridge! Focuson is a flexible, fast, engaging, sleek and slender, intuitive and readily responsive WP theme built to support various niches of businesses. It confers its users with a reliable framework to design a functional website that is capable of yielding good results. Also, it focuses on drag and drop technology that gives you full control over the customization of a website. Besides, it is fully responsive, has multiple homepage layouts, dark and light skin, mega menu, easy to use theme options and much more to support your website for a robust online presence. 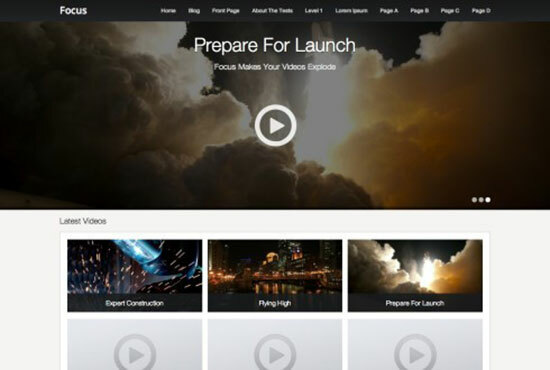 You can also try its live theme editor to know more about what you are getting by buying Focuson. Isn’t that worth a shot! Designed to meet the ongoing requirements of web designs, Miracle is one stop solution to every business owner that needs an appealing and enticing website for their products. 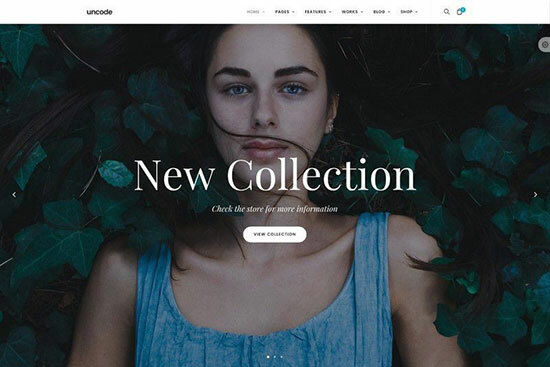 With this theme, you can use shortcodes, Visual Composer page builder, mini carts, grid, shop layout and menu to create a website within just a few minutes. Other exciting features are; Multi-Language Support, SEO plugins for compatibility, Font Awesome Icons, Revolution image slider and CSS3 Animations. Also, Miracle is responsive to all mobile browsers and devices. How good is that! It is a gorgeous, well structured, endlessly pliable, easy to use, tech-savvy, graceful and fully responsive WordPress theme to amaze and dazzle your audience. 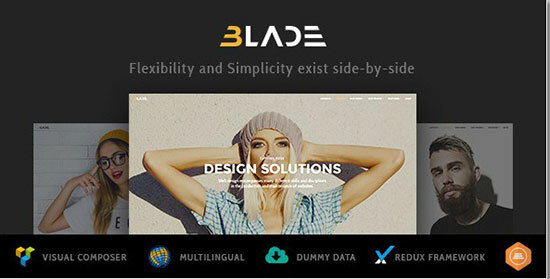 As Blade uses Redux Framework, creating a website is very easier with a few clicks and without coding. It supports multi-functional headers, layouts, options and hover styles, WooCommerce, live colour customizer, rich typography and much more and is ready to provide you help at anytime you need. If you can dream it up, this theme can adapt to pull it off in an endless manner. Just need you to try Blade once! 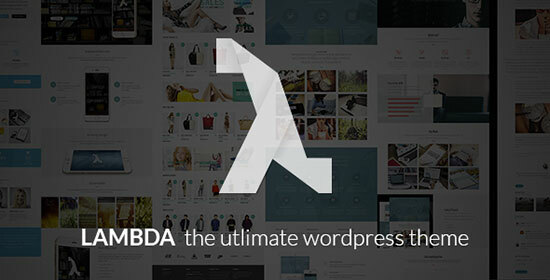 Coded with HTML5 and CSS3, Lambda is compatible with WordPress 4 and anyone can use it to build any website. It’s developers offer you a one click demo option to try the theme and customize it according to your website’s needs. It includes 100+ customizable boost options, page builder, solid support, responsive design, header options and revolution slider. Also, it offers you a live customization that you can look at and learn the customization. Besides, it comes with the blog with fantastic post format support, isotope, social icons with Twitter widgets and custom post types for your business content which makes Lambda a complete package for a tough online website. 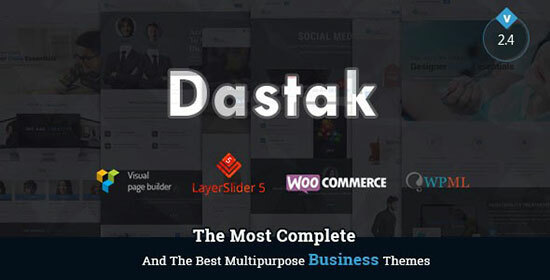 Dastak is a completely responsive, versatile, powerful, resourceful, incredibly imaginative, robust and efficiently developed WP multipurpose business website theme. Building a sturdy website has never been easier and faster until Dastak has hit the market. Today, you can create a site within few minutes with just a few clicks while including all the advanced and basic functionally of an appealing online website. Some features like advanced page builder, WooCommerce ready, gallery management, free additional plugins, payment system for online shopping, focused portfolio management and much more makes Dastak a clear choice to building an interactive platform. Set up and run within few clicks and minutes: this is what Dastak is known! Hope you have selected your multipurpose theme by now and in case you tend to use any other, do let us know in comment section. Sophia Phillips is expert frond-end & wordpress developer. Currently, she is an employed with WordPrax Ltd. a renowned name in PSD to WordPress theme services. Sophia has had written a remarkable number of articles on WordPress tricks and tips. First 4 themes are amazing for SEO optimization. Also, I get to know more new themes from this article. One thing I noticed across the article, All themes are designed for the professional purpose.